The impasse between the Government of Grenada and the public sector unions regarding pensions is not yet over. However, for the time being, quite a number of lessons may be learnt from the impasse. At the moment both sides are engaged in negotiations especially to target what percentage of “gratuity” is to be paid in advance from pension entitlements to retiring public sector workers. This would mean that the more gratuities are paid out the less would be the monthly pension entitlements and vice versa. Agreement has already been reached in principle for retiring public sector workers to be entitled to 70% of their highest salary commencing at the age of 60 years. This amount is expected to be shared by the National Insurance Scheme and the government. In general, over the last 35 years public sector workers received pension benefits under the National Insurance Scheme only, which amount has not been very generous. It is to be recalled that the employees in each public sector, that is, those in the general public service, prison officers, school teachers and the police, have their respective Pensions Act governing how pensions are to be paid. The provisions of the Pensions (Disqualification) Act which was enacted by the unconstitutional People’s Revolutionary Government (PRG) in 1983 purported to disqualify public sector workers from being entitled to the generous “gratuity” and pension benefits under the various Pensions Acts as from 4 April 1983. The case of Hermilyn Armstrong v the AG and Minister of Finance (2010) held that at the time when the Act was passed by the PRG it was invalid. However, the same Act was validated by the constitutionally elected Herbert Blaize administration on the day it was gazetted, that is, on 22 February 1985. When the Laws of Grenada were revised in 1990 the provisions of the Act were incorporated in each of the Acts regarding the respective public sector unions. The disqualifying date which was used was 4 April 1983, however, since the judgment of the Hermilyn Armstrong case the date in the various Acts were appropriately amended to 22 February 1985 in keeping with the validation. One of the lessons that may be learnt from the impasse is that the provisions of the Pensions (Disqualification) Act are valid as from 22 February 1985. Therefore, for the time being, all retiring public sector workers who commenced service before 22 February 1985 will be entitled to “gratuity” and other pension benefits in accordance with the original Pensions Acts. However, those who commenced service after that date will only be entitled to pension benefits under the National Insurance Act with no “gratuity”. 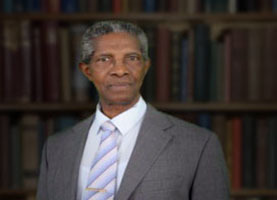 A second lesson to be learnt is that in accordance with the judgment of the case of Irvin Mc Queen v the Public Service Commission (1997), every public officer who are required to retire from the public service on abolition of office or for the purpose of reorganisation of his Ministry or Department shall be entitled to ”gratuity” and other pension benefits under the original Pensions Acts in accordance with section 84 (8) of the Constitution. The Court of Appeal ruled that section 84 (8) of the Constitution created a right to pension benefits for those public officers under the original Pensions Acts since the enactment of the Constitution in 1974. It is a right ab initio. This right therefore cannot be changed by ordinary legislation such as the Pensions (Disqualification) Act but may only be altered by having an amendment made to the Constitution itself. A third lesson that may be learnt is that employees who absent themselves from the workplace for the purpose of strike or for irregular industrial action (including rest and reflection) are not entitled to be paid by the employers for the period of absence from the workplace. This is the practice in industrial relations all over the world. It is a common law practice in Grenada where one is only entitled to be paid for work actually done. Absences for genuine sick leave, for public holidays or for vacation leave are exceptions. This is why trade unions usually keep a “strike fund” in order to make financial contributions to their striking workers to cover their basic needs during the period of absence. A fourth lesson to be learnt is that genuine negotiations around the table always provide disputing parties with the best opportunities for reaching an industrial relations settlement. It is most important also in many situations including the present one to engage the professionalism of technocrats on both sides in order to have rational as opposed to emotional propositions. It is to be hoped that the decision which has been recently made by both sides to return to the bargaining table will enable those disputing parties to reach a final and binding settlement for the benefit of all public sector workers and in the interest of national development.